In the face of supply instability and price volatility against the backdrop of surging global demand, energy security has been traditionally viewed among Asian countries as an indispensible component of their development strategies. As Asia has emerged from the financial crisis relatively unscathed compared to the West, Asian countries remain tipped for rapid economic growth. The sustenance of such development hinges in no small part on energy security. However, it is also important to note that energy security is not merely associated with the guarantee of secure access to affordably-priced fuel sources. The heavy reliance on fossil fuels carries far-reaching environmental and socio-economic consequences beyond the mere notion of supply security. These concerns include climate change with its attendant problems of rising sea levels and risks posed to the ecosystem, as well as political impact in the face of public dissatisfaction over rising energy prices. There has been increased awareness of the consequences brought about by climate change and the continued volatility of fossil fuels which will most probably continue to make up the bulk of the present and future energy mix. In Asia, where the need to reconcile socio-economic development and environmental protection becomes a pertinent issue, strategies are sought after to sustainably harness energy resources while limiting the impact on the environment. Such a strategy is generally two-pronged; consisting of energy efficiency measures and exploration of viable alternative energy solutions. The latter aspect deserves attention. To date, there has been widespread interest shown by Asian countries in clean energy technologies. Clean energy technologies not only help to reduce carbon emissions but also contribute to the reduced dependence on fossil fuels whose prices are often subject to geopolitical and market disruptions. East Asia in particular has recently witnessed rapid progress in the utilisation of clean energy technologies. For instance, China has emerged as the forerunner in wind energy development and is fast gaining ground on the solar energy sector. The countries of the Association of Southeast Asian Nations (ASEAN) are certainly not far behind in the exploration of alternative energy sources, given the relative abundance of such resources in the region. Further, serious interest has been shown among countries across Asia in the use of nuclear energy while existing nuclear-users in the region, such as China, Japan and South Korea, are expanding its use. In the ASEAN region, there has also been what is coined a ‘nuclear renaissance’ as members of this regional organisation mull over its potential inclusion in their energy mix. However, the development of alternative energy sources, just like the case of fossil fuels, is not a simple case of demand and supply. This strategy is fraught with a range of pertinent issues that have framed current intense debates among policymakers, the academe and non-governmental organisations. For instance, despite being an attractive energy option, nuclear energy is saddled with inherent risks associated to radioactive waste disposal and nuclear weapons proliferation – all of which carry transnational security consequences that cannot be overlooked. While renewable energy technologies continue to mature, coherent policy incentives and support will need to be provided by governments to enlarge the former’s share in a country’s energy mix. While countries such as China and the Philippines have pioneered in introducing renewable energy laws, these need to be improved further to fully realise the potential of renewable energy. On top of that, deficiencies in energy policymaking shown in Asia have resulted in questions regarding the ability of governments in the region to adequately exercise energy governance, as the rise in civil society organisations (CSOs) in the contemporary nuclear debate has illustrated. In sum, energy security for Asia in the near future will be confronted by a multifaceted array of factors beyond the notion of supply security. Against the emergent concerns revolving around environment and technological safety for instance, the concept of energy security has to broaden in order to address the interdependent nature of these problems. This paradigm will require transcending the state actor level to involve non-governmental actors while also stressing the need for greater multilateral cooperation. A multifaceted approach to energy security therefore constitutes the framework for this research programme. The research programme on Energy and Human Security presently examines two major issues: the future of nuclear energy and governance in Southeast Asia and energy vulnerability and collaboration in East Asia. However, while these fields are often discussed in a geopolitical context, the programme approaches them through a distinct human security paradigm which stresses not just availability, consistency, and non-discriminatory access but also considers inter-related factors involved, such as environmental and security risks. In the face of climate change and a projected increase in power consumption, nuclear energy has become a focal point of interest among policymakers across Asia. As such, there has been significant research focusing on the potential of nuclear energy expansion in the region. However, the road to nuclear energy development in the region is not entirely smooth-sailing. Pertinent issues related to environmental, economic and security risks continue to dominate the nuclear debate. 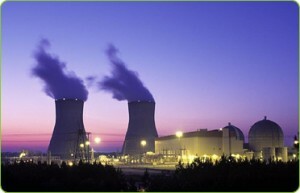 As such, the project titled Nuclear Energy and Human Security: Critical Debates was initiated in September 2009 in an attempt to explore these issues. The project sought to understand the feasibility of, and the challenges facing, the civil use of nuclear energy, which is seen to have increasing potential in the Asian region. Much literature on energy security in East Asia has focused on the dynamics of competition over resources and how potential conflicts could arise from this. While this perspective of analysis identifies potential risks and problems, it also precludes the possibility that cooperation is possible between the different states of the region. While the themes of competition and conflict will continue to be relevant in discussions on East Asian states and societies, concentrating solely on them risks overemphasising the vulnerabilities East Asian societies face in meeting their energy needs, precluding the exploration of cooperative solutions in addressing energy security. Going beyond the themes of competition and conflict, this project sought to: (1) examine cooperation and collaboration against the backdrop of continuing geopolitical uncertainties and tension as a central focus of inquiry; (2) fill a research and knowledge gap attributed to the general tendency to relate energy security to power politics while undervaluing the extent of interdependence in the chain of energy trade and product trade among nation-states in East Asia and the wider Asia-Pacific; and (3) examine how transnational projects of energy cooperation and collaboration have taken place in East Asia, despite the emphasis on geopolitics in determining policy. Findings obtained from this project sought to stimulate debates about energy policymaking and institutionalisation in the region. The case studies centred on the ten member states of the Association of Southeast Asian Nations (ASEAN), as well as China, Japan and South Korea. A key assumption underpinning this project was that shortages in and uncertainties over energy supplies – that is, energy vulnerabilities – constitute a normative part for these case countries under examination.